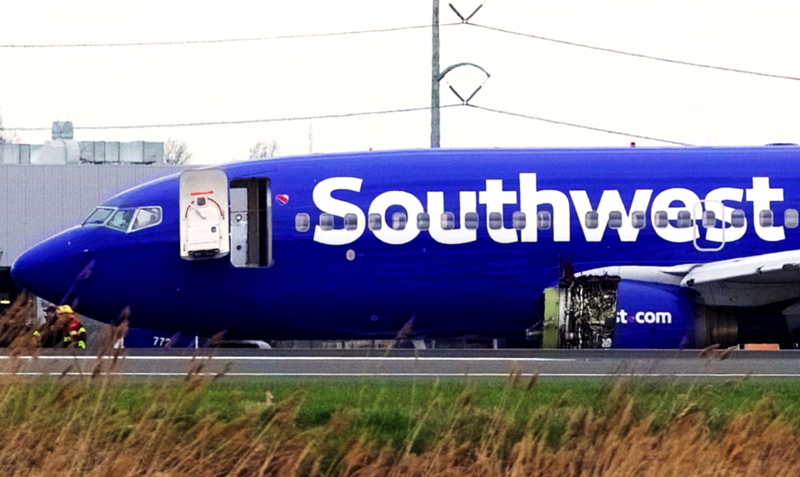 Tammie Jo Shults, the 56 year old pilot of a Southwest Airlines Boeing 737, flying from New York’s La Guardia Airport to Dallas Love Field and diverted to Philadelphia due to an engine breach, has been widely praised for safely landing her aircraft after one of its engines exploded after 20 minutes in the air. 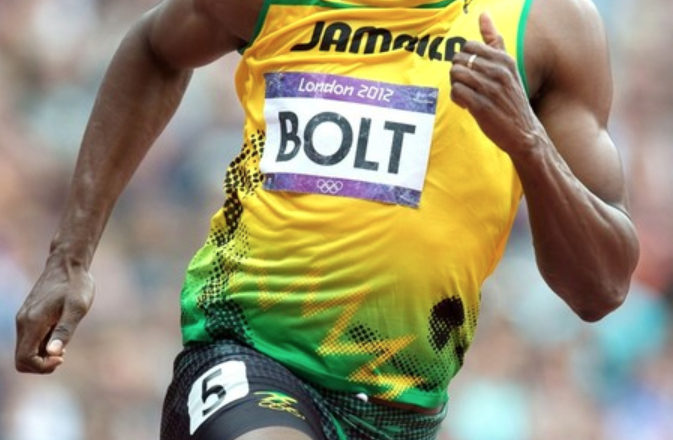 The incident resulted in the death of a female passenger when shrapnel from the engine punctured the fuselage. In an air traffic control recording after the incident, Shults can be heard calmly describing the unfolding situation. After the emergency landing in Philadelphia, passengers praised her coolness under difficult circumstances as well as her technical skills and professionalism. Shults is a U.S. Navy veteran and was one of the first women to fly the F/A-18 Hornet fighter jet. She retired from active service in 1993 and left the reserves as a lieutenant commander in 2001. One passenger was killed in the incident and seven injured. Shults isn’t just notable for her exceptional flying skills and for being a trailblazer in the Navy fast jet community. She is also notable as being one of very few women flying for airlines around the world. Even though figures fluctuate constantly, the Federal Aviation Administration believes that 4.36 percent of all U.S. pilots are women. According to data from the International Society of Women Airline Pilots published in the Telegraph, there are 7,409 female pilots across the world, accounting for 5.18 percent of total pilots. 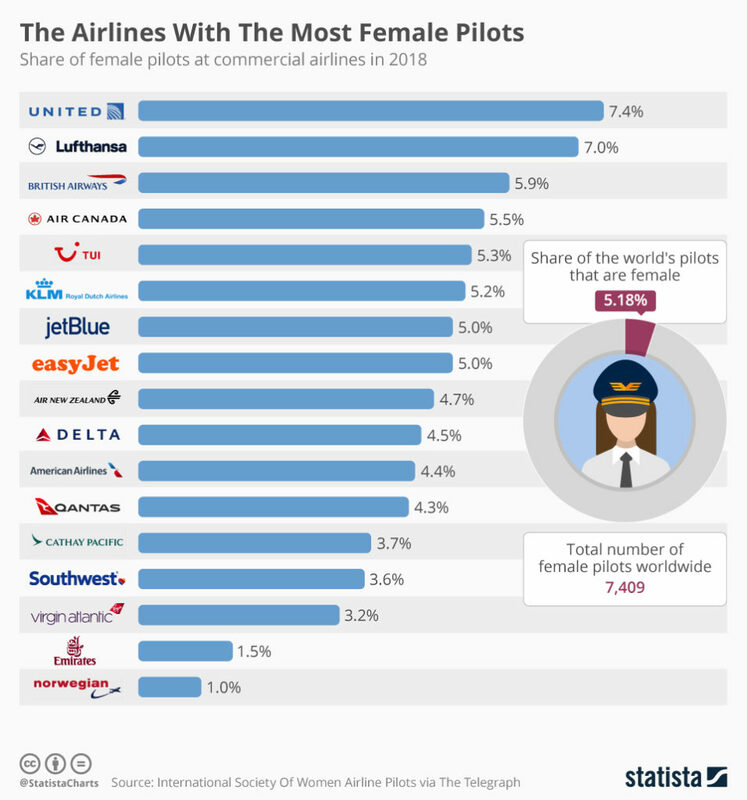 The following infographic shows the share of female pilots in major commercial airlines with United at the very top with 7.4 percent of its pilots women. Lufthansa comes second with 7 percent while British Airways comes third with 5.9 percent. Shults’ employer, Southwest Airlines, has a female pilot share of 3.6 percent. Audio from the pilot and air traffic control can be heard here via WFAA. Norwegian is at the very bottom of the ranking with women accounting for one percent of its pilots. Even though the Middle East is home to some of the world’s biggest and most recognizable airlines like Emirates and Etihad, it’s an extremely challenging region for women hoping to get into the cockpit. On one occasion in 2016, Royal Brunei Airlines’ first all-female flight-deck crew landed their plane in Jeddah, Saudi Arabia. After they taxied their airliner to the terminal, they were not even permitted to drive themselves away from the airport to their hotel. Despite all of the barriers, several Saudi women have still managed to become pilots in recent years while Saudia, the country’s national airline, has said it is looking into sending women abroad on scholarships to train to become pilots.